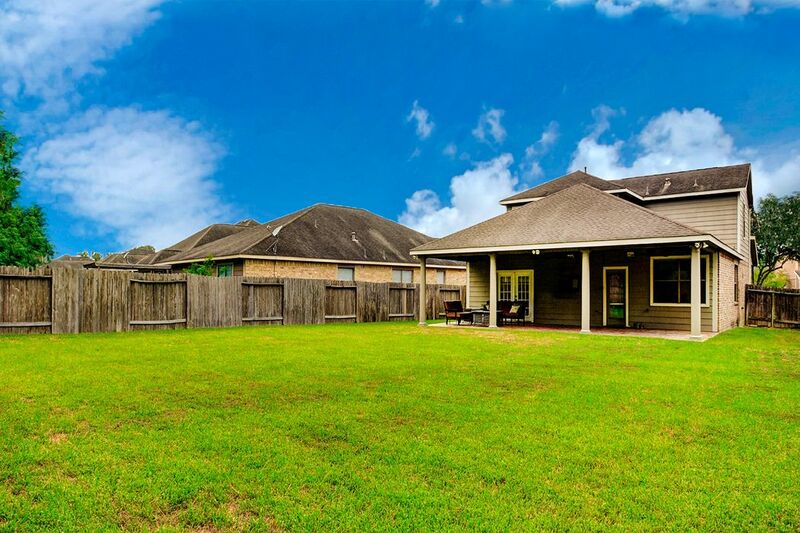 20136 Bitter Root Drive, Porter, TX 77365 | Martha Turner Sotheby's International Realty, Inc. 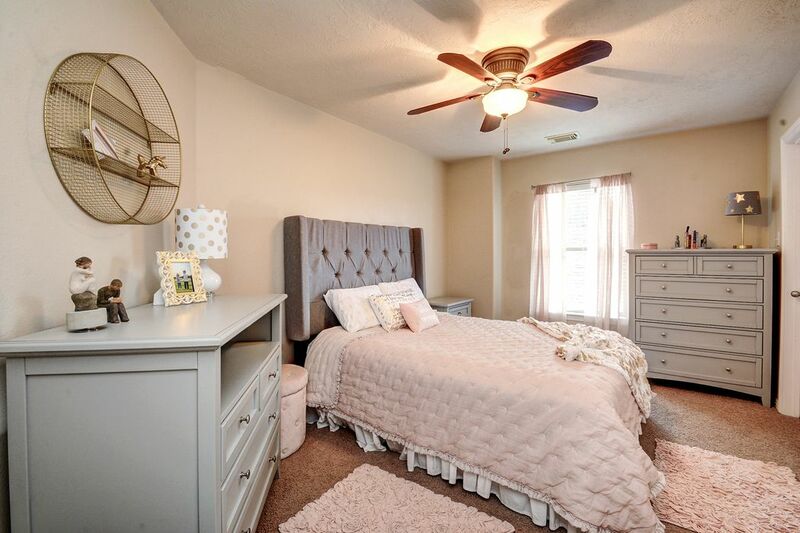 Welcome home to this inviting, large getaway home! Oakhurst at Kingwood is home to the scenic Oakhurst Golf Course, a daily fee, 18-hole course known for its beauty and challenging play. 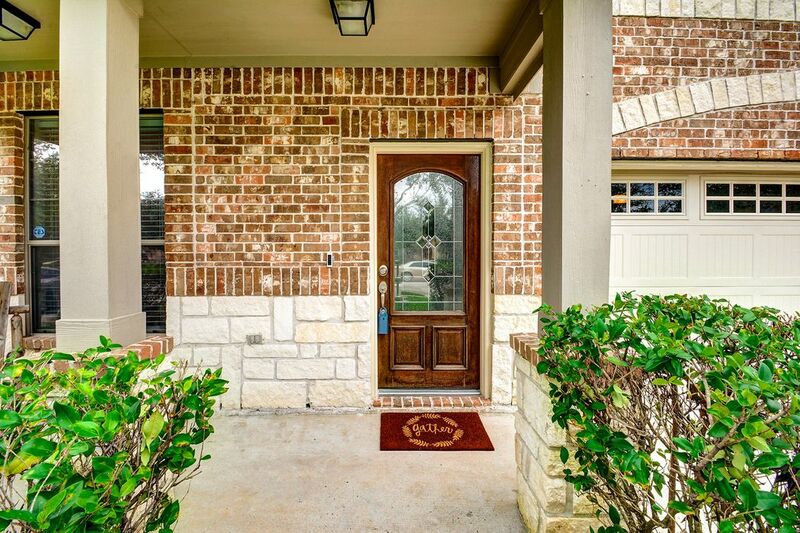 Stone and brick exterior with a large front porch and beautiful columns set off the front door with leaded glass. 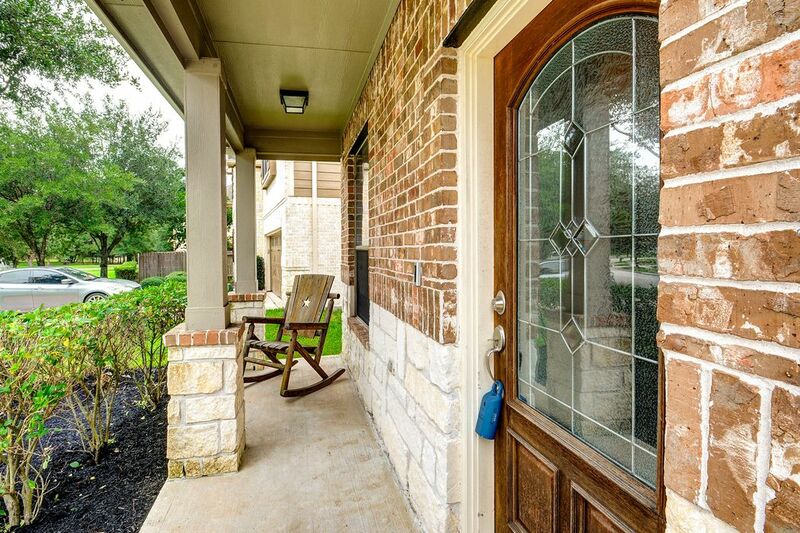 What a large front porch, perfect for relaxing! 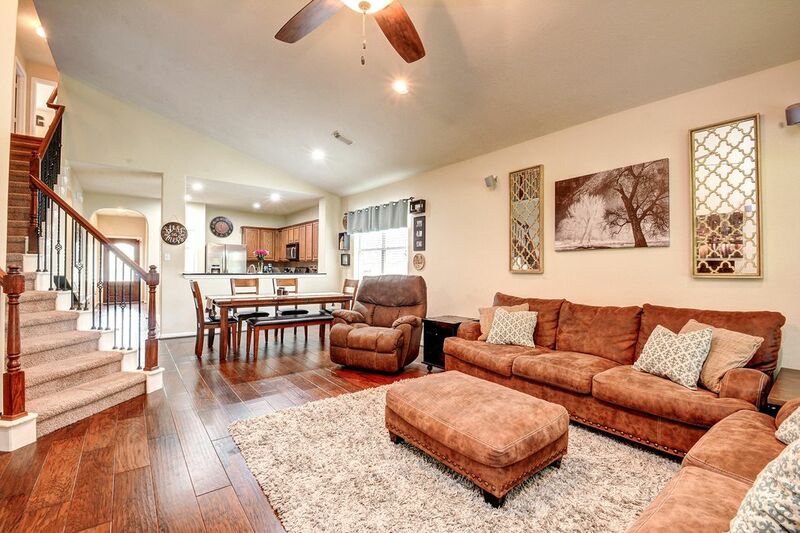 Upgraded hardwood floors with handscraped texture set the tone for this one of a kind large 2 story home. 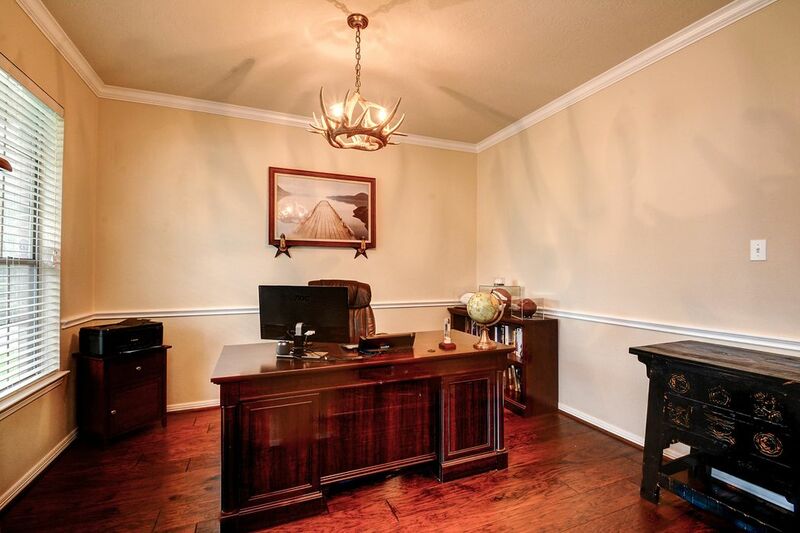 The elegant study is just off the entryway, with chandelier, chair rail and wood flooring. The large and elegant study is just off the entry. 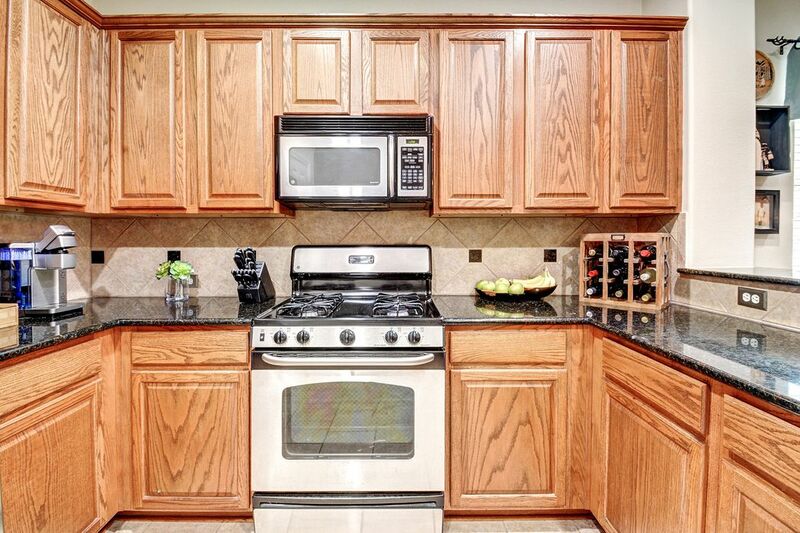 This open kitchen features stainless steel appliances, large cabinets, black granite counters and is open to the living and dining areas. 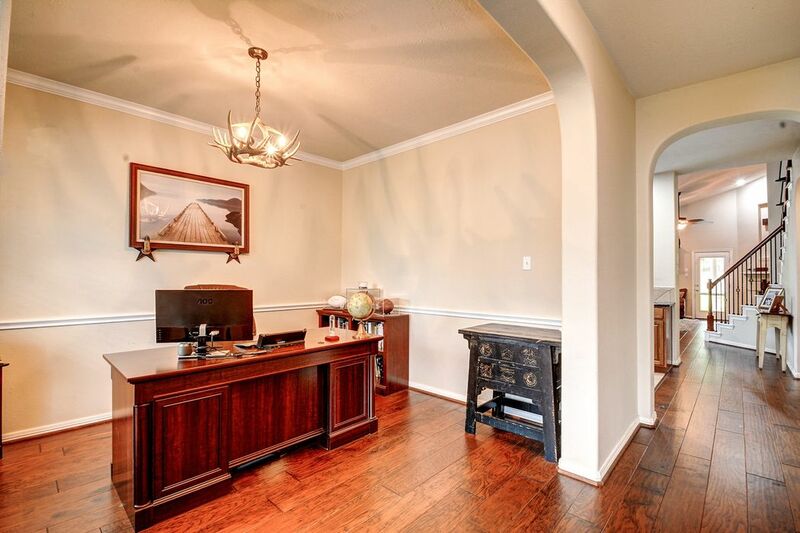 It also has a breakfast bar! This open kitchen features stainless steel appliances, large cabinets, black granite counters and is open to the living and dining areas. 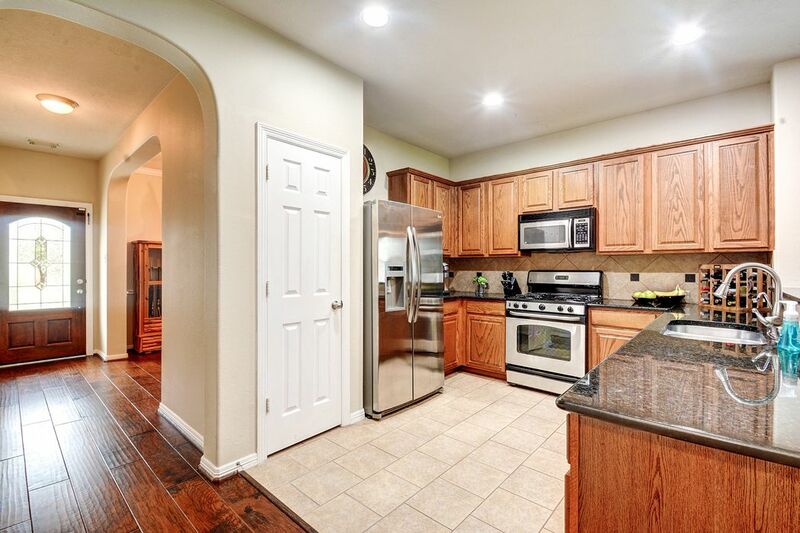 It also has a breakfast bar and pantry! This open kitchen features stainless steel appliances, large cabinets, black granite counters and is open to the living and dining areas. 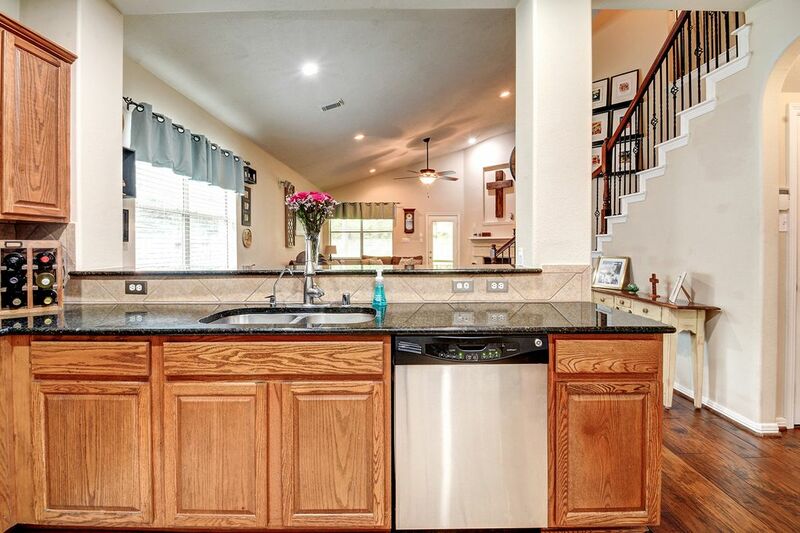 It also has a breakfast bar and pantry! Views of the soaring living room ceiling and lovely staircase. 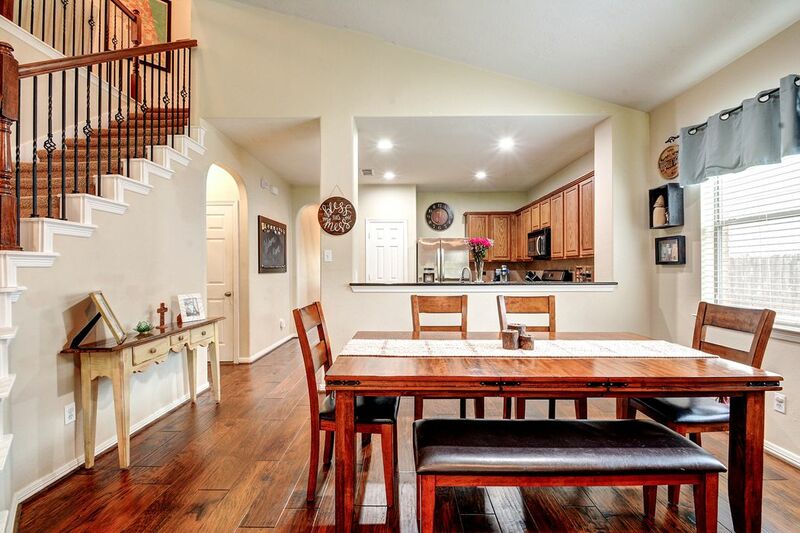 The dining room features wide plank wood floor and large windows, filling the room with light. 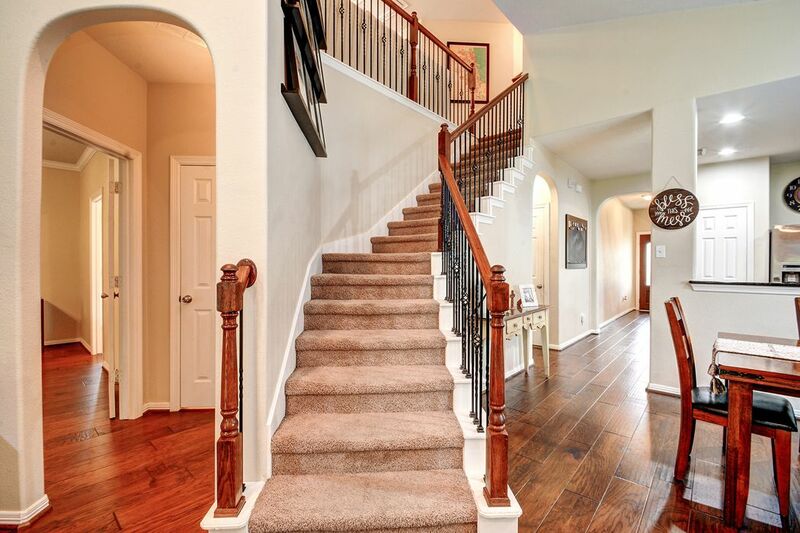 Elegance and luxury in this open floor plan two-story home. 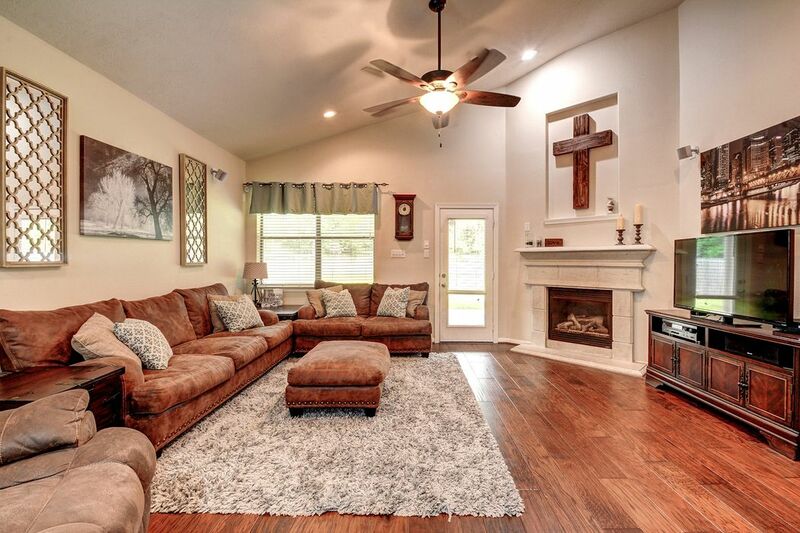 The cathedral ceilings in this large, expansive living room are set off by the large windows and lovely wood floors. 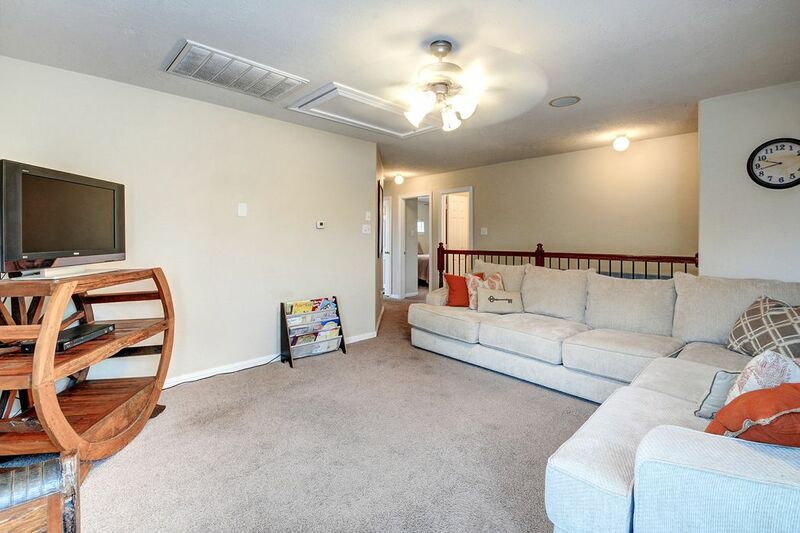 There is a gas fireplace. 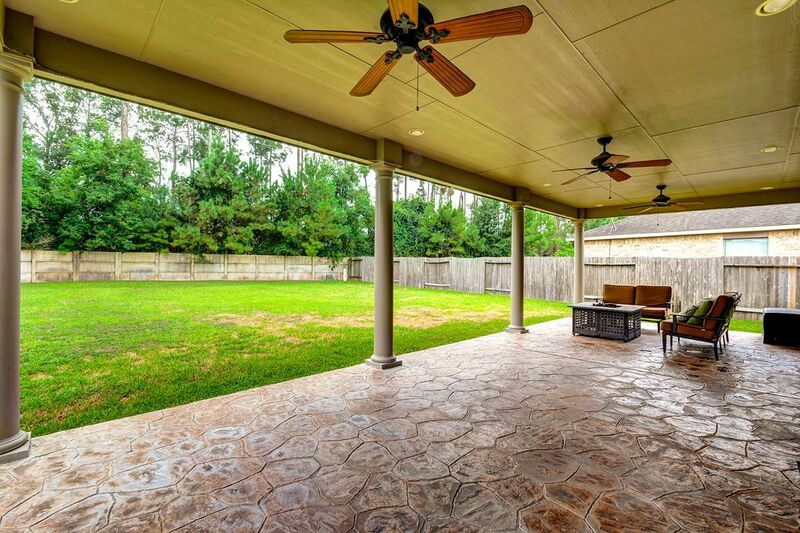 The back door opens to the large covered patio - perfect for entertaining! 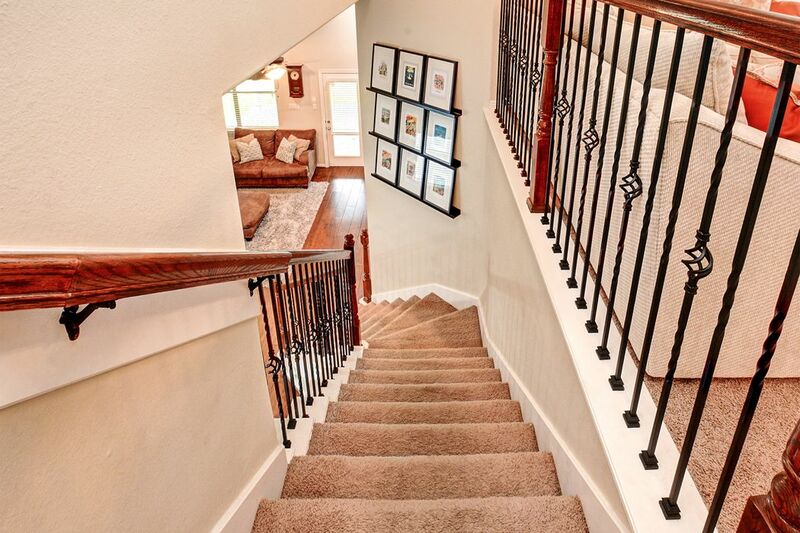 The grand staircase is set off by the wrought iron railing and leads to a large bonus family room upstairs. 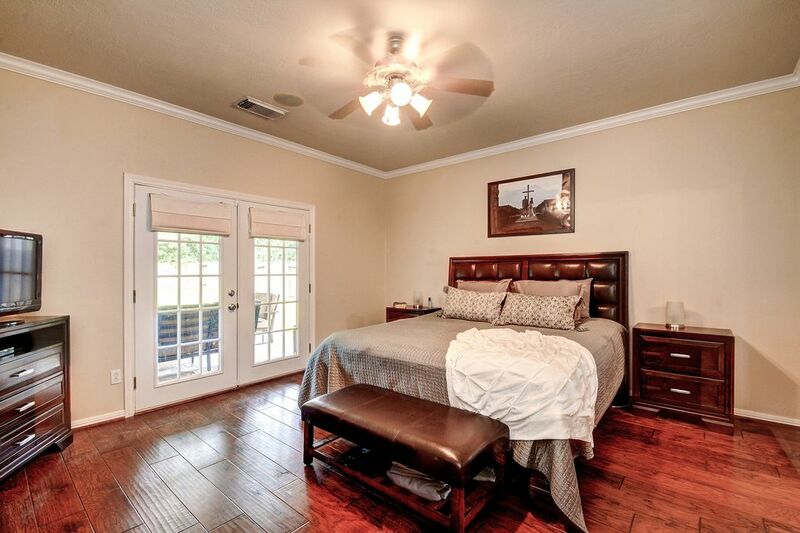 The door to the left is the entrance to the downstairs half bath and the master bedroom. 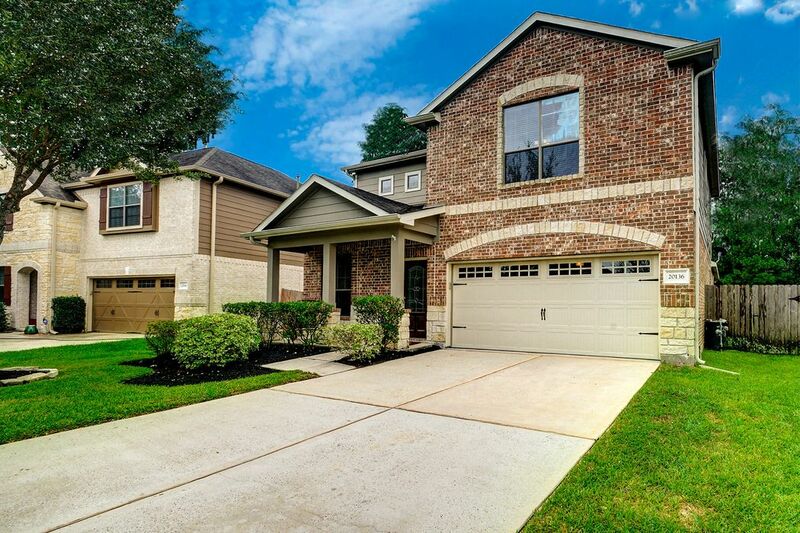 This spacious master has lovely hardwood flooring, luxurious en suite bathroom and beautiful french doors that lead out to the huge covered patio! No rear neighbors! 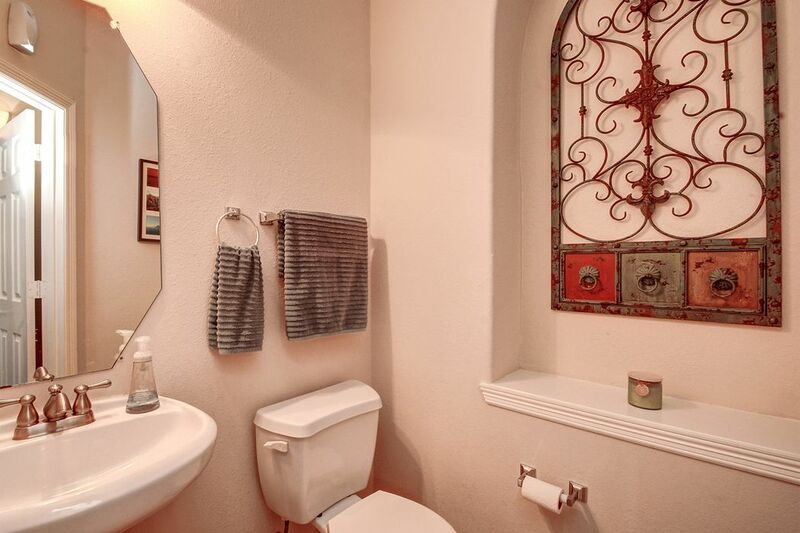 This luxurious en suite bathroom has a tub, separate shower, dual sink vanity and separate toilet stall. View from the top of the grand stairway. 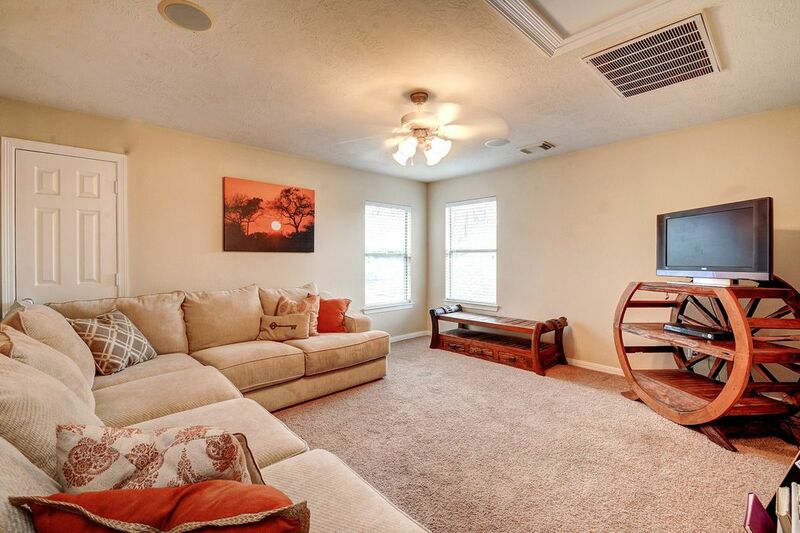 The large bonus family room is on the right. 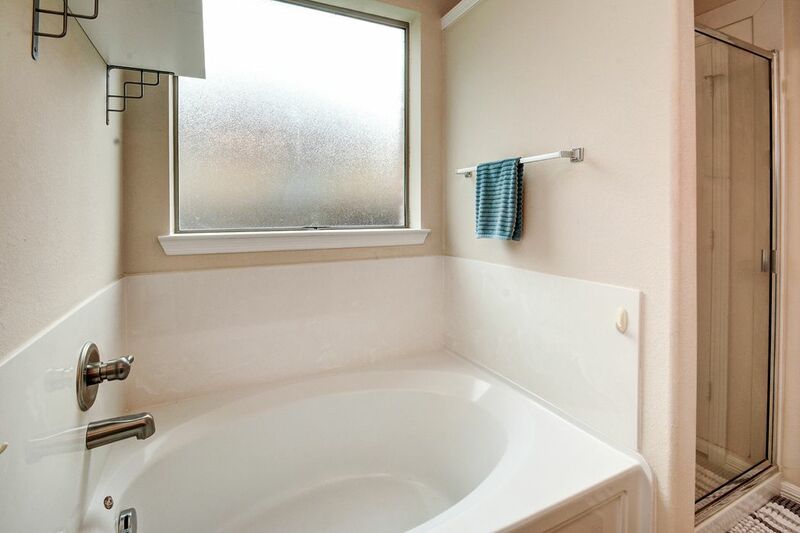 The large full bath upstairs. 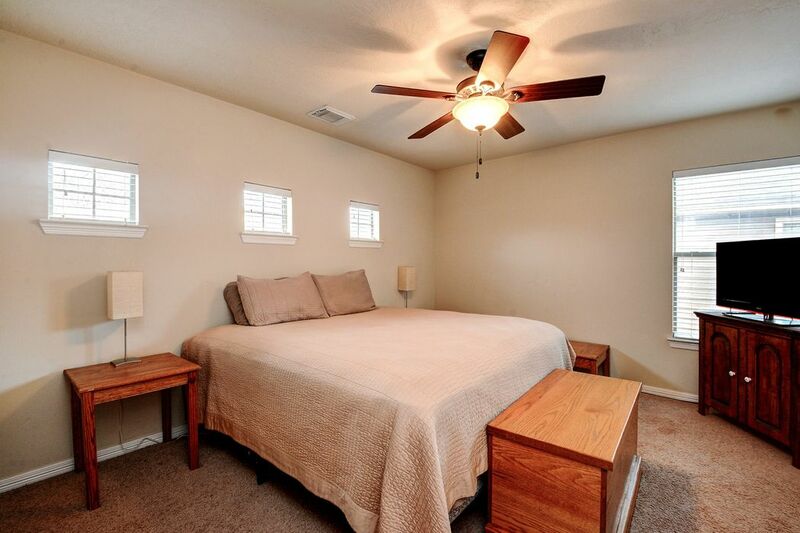 Bedroom 2 upstairs has many windows and is spacious. 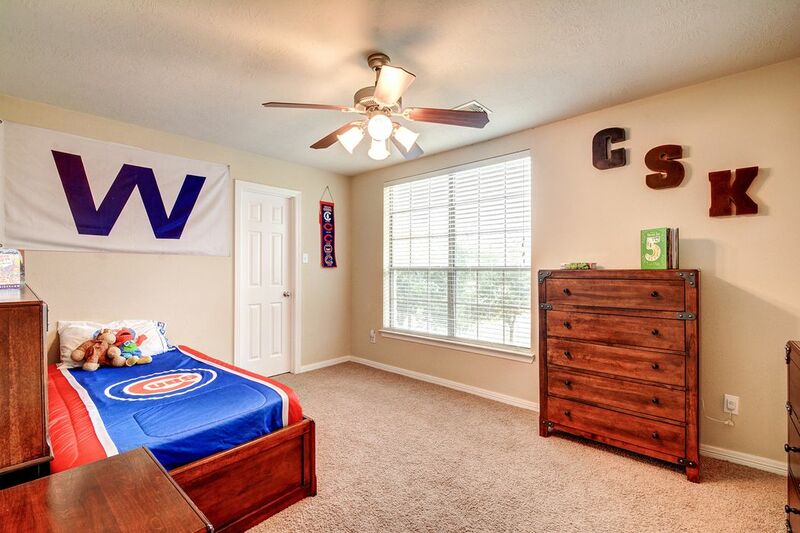 Bedroom 3 upstairs has many windows and is spacious. 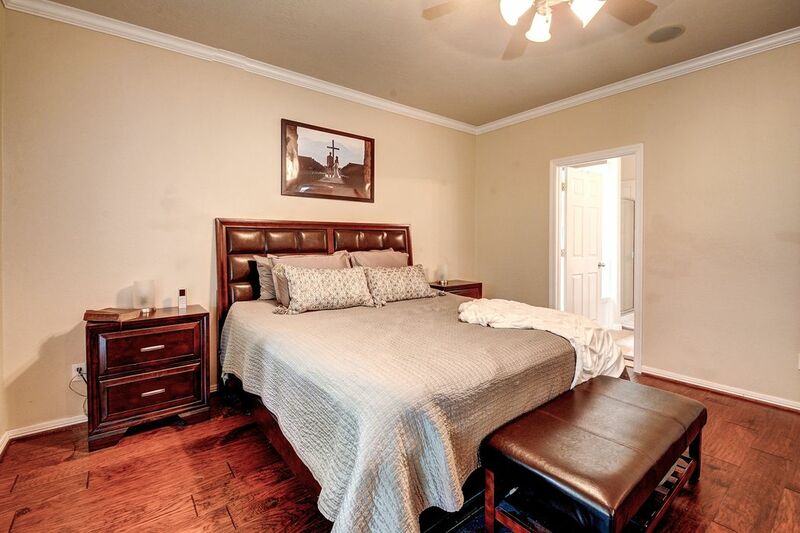 Bedroom 4 upstairs has many windows and is spacious. 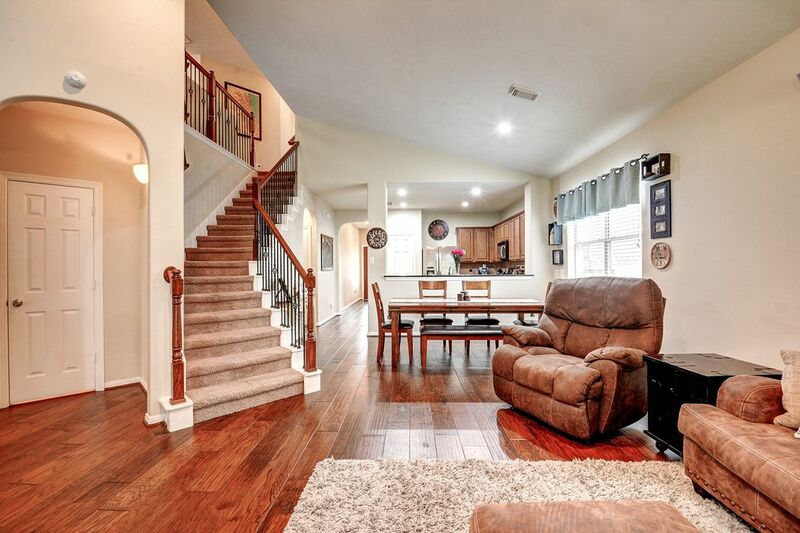 View of the large bonus family room upstairs, open to downstairs. 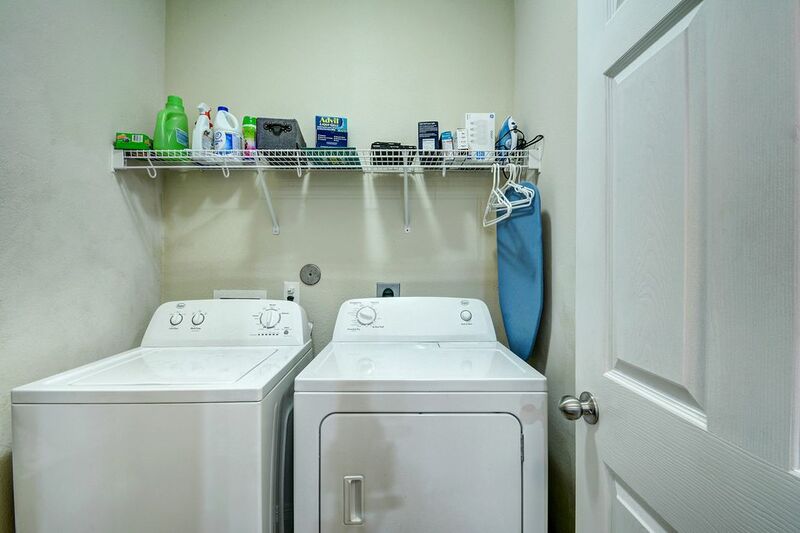 Utility room is on the first floor. 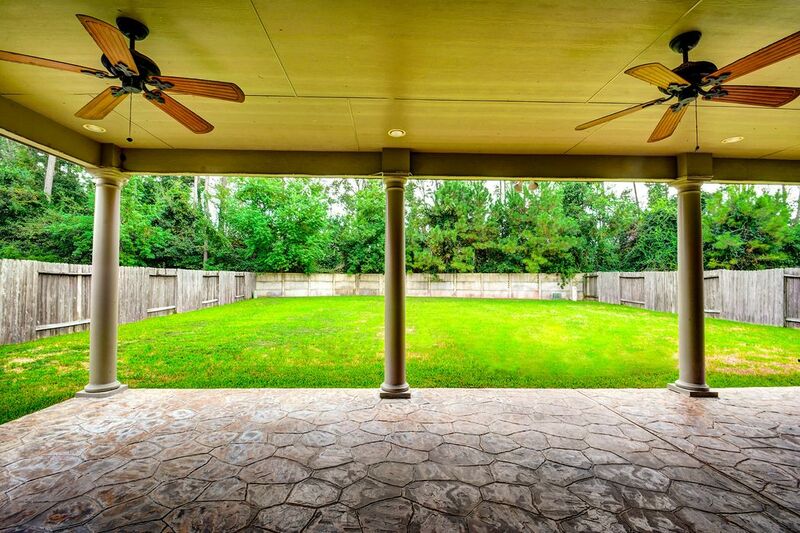 You will love the expansive covered back patio with multiple ceiling fans and stamped concrete. 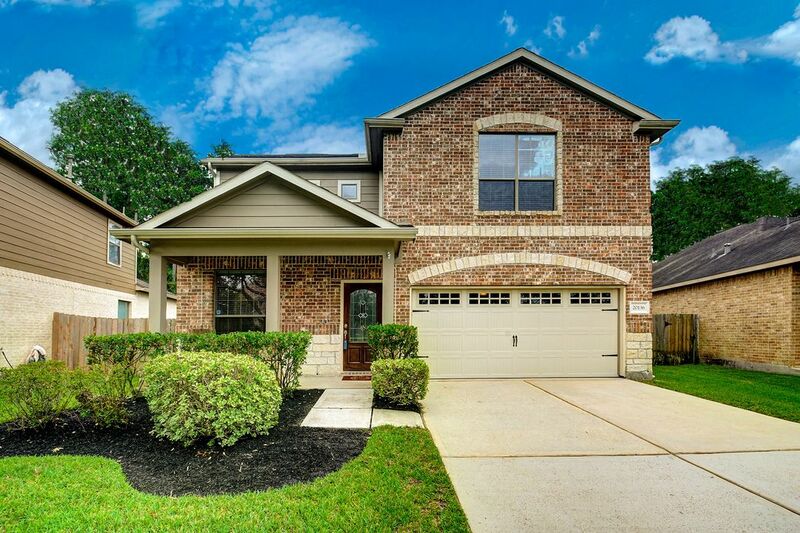 If that isn't enough, check out the large yard and no rear neighbors! 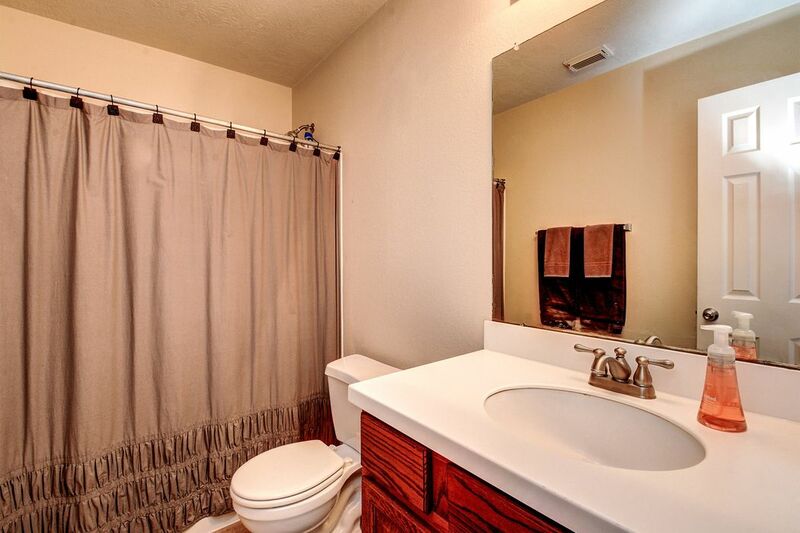 $225,000 4 Bedrooms2 Full / 1 Partial Baths2,320 sq. ft. 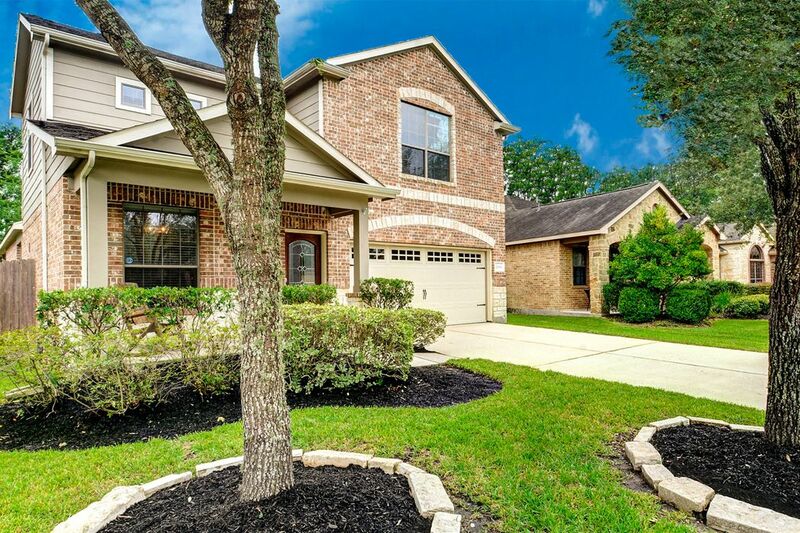 Exquisite stone and brick Newmark home located in the golf course community of Oakhurst at Kingwood on an oversize lot. 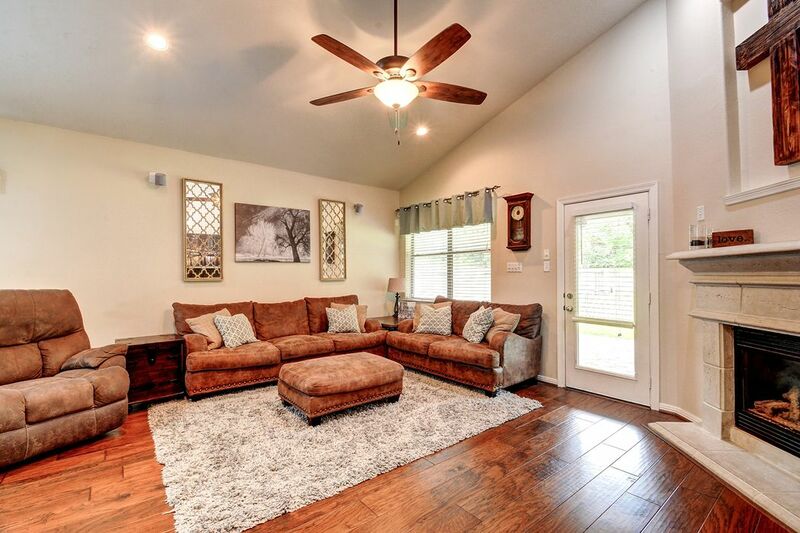 Fantastic architecture, soaring ceilings and an open floor plan. 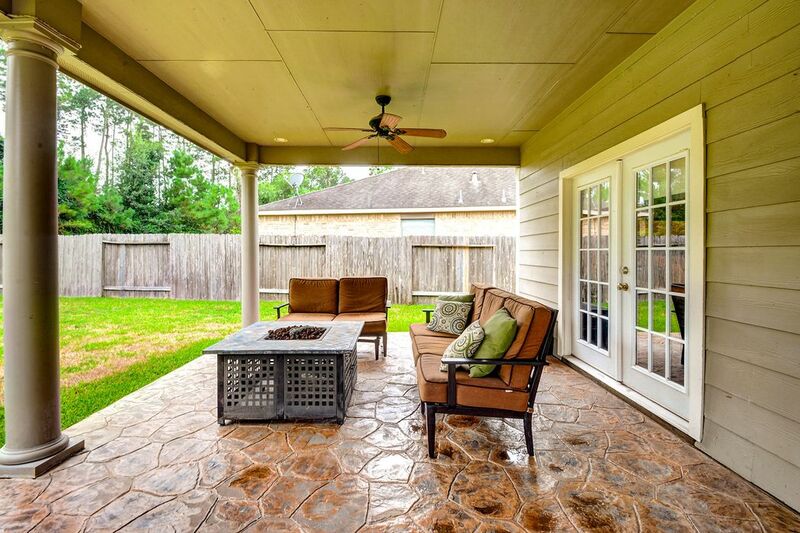 Large custom built covered patio offers a festive setting to host gatherings. 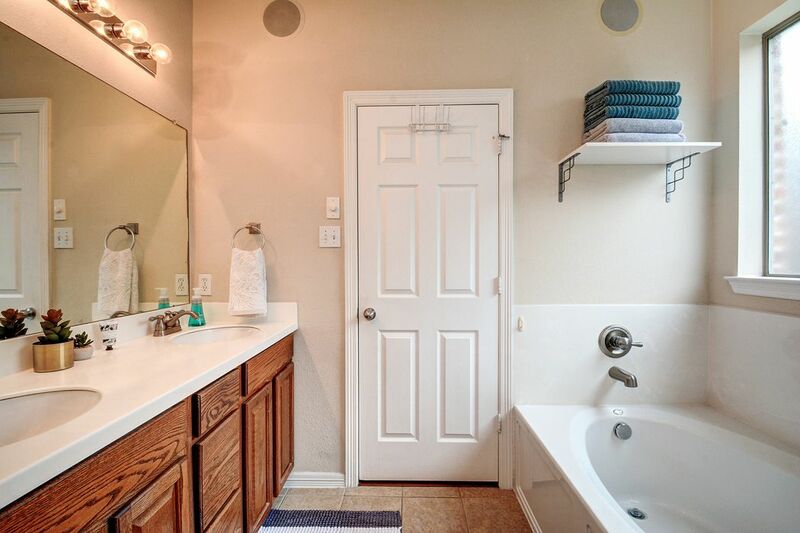 Sprinkler systems and built-in surround sound thoughout. 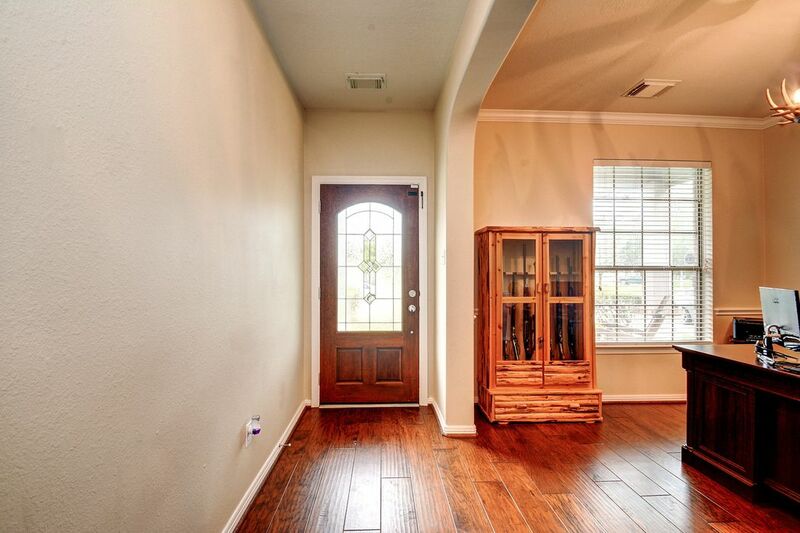 French door in master leads to patio. Castone fireplace, radiant barrier. 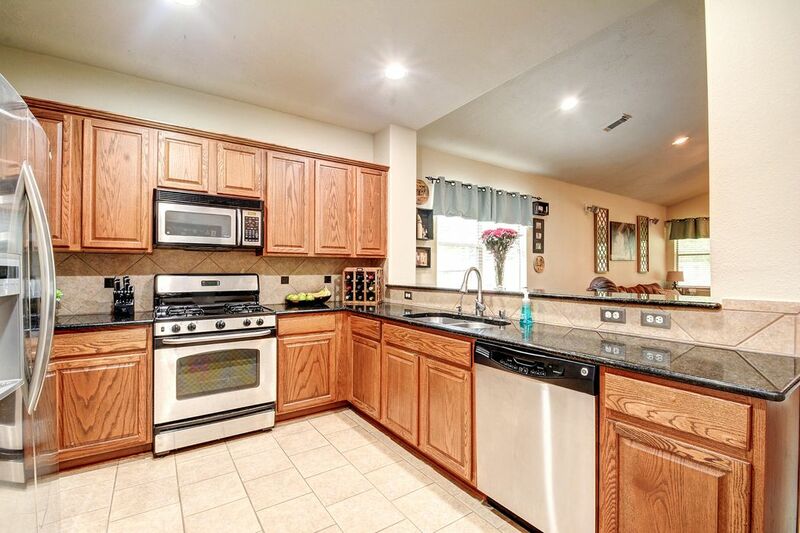 Large open kitchen with stainless steel appliances and granite countertops. 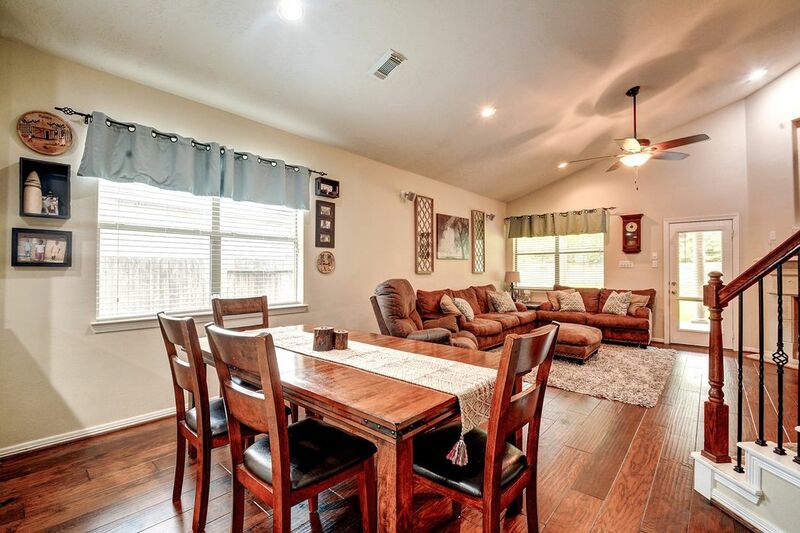 Upgraded wood flooring downstairs, custom paint, tile floors and carpet. 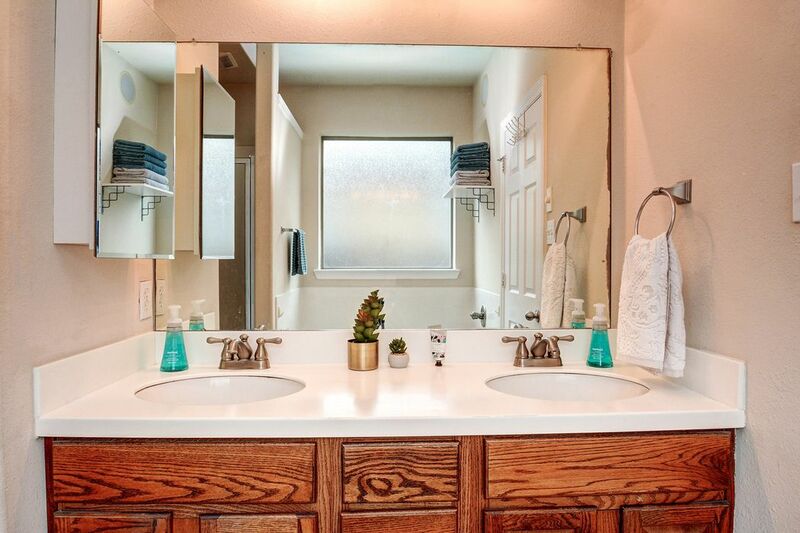 Amenities in the Oakhurst master plan include neighborhood parks, greenbelts and a central recreation center complete with a competition-size pool. 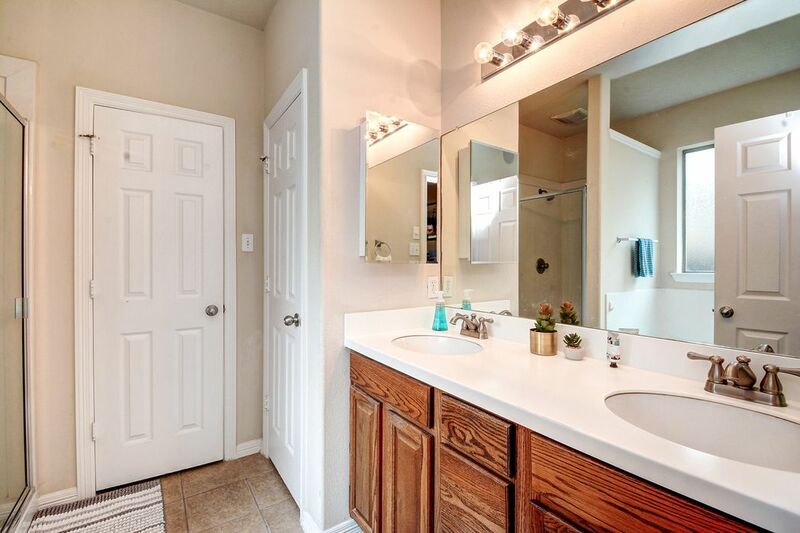 Residents in Oakhurst enjoy close proximity to major medical and retail centers in the surrounding area.